So, you’ve been bitten by the travel bug and two weeks vacation just isn’t enough. You want to see the whole country. No, the world! The problem with travel is you have to find a way to fund it and, you know, the rest of your life. That means a roof over your head and food in your stomach. Luckily, the opportunity to work while traveling or find jobs that travel only seems to have increased. There are now quite a few jobs — even careers — that allow you to indulge your nomadic desires without being completely broke. If we were going to spend the next several years of our lives traveling the world, here’s what we’d consider. Companies like U-Haul, Amazon and LiveOps pay work-from-home customer service agents. You’ll need a reliable phone and internet connection, and you’ll likely be on a U.S. business schedule, so make sure your destinations account for these requirements. Get paid to fly all over the country? That’s the reality for flight attendants. Plus, you’ll get free or insanely discounted flights through the airline. The downsides are new flight attendants don’t get much say in where they fly, jet lag can be a real issue and the pay is arguably not great. In addition to visiting different parts of the world, the cruise crew often get food and on-ship accommodations. The downsides are you often have to share a room, there’s not much in the way of days off while you’re on board and cruise jobs are hard to acquire. But once you’re in, you’ll likely be called back for more. More: Dear Millennials: Stay Home From Work When You’re Sick! You’re probably already aware that jobs in software development, engineering and project management in the tech world are high-paying gigs. An added perk is that many of them have remote opportunities, which means you can do the work from anywhere and still get paid. If you’re considering or have already gone to nursing school, this can be a great gig. The pay is awesome (up to $70,000 a year), you can find yourself placed all around the country, and you often have the ability to stay in one place for a series of months before moving to a new one. It can come with some uncertainty, though, as you’re always at the mercy of the next contract. Places like Japan, South Korea and United Arab Emirates all pay relatively well for English-speaking teachers to live in their country and teach students. Most only require a certificate for teaching English is a foreign country and some experience, such as tutoring. These can be great opportunities if you want to “live like a local” for a year or more. Several companies — such as Chegg, K12 and Tutor.com — hire college graduates (or students!) as tutors for as much as $25/hour. As with other remote positions, you’ll need a reliable internet connection, so make sure your hut in Thailand has that before you check in. Consider your skill set and look for your own gigs online or through jobs board websites like Upwork, FlexJobs and Fiverr. 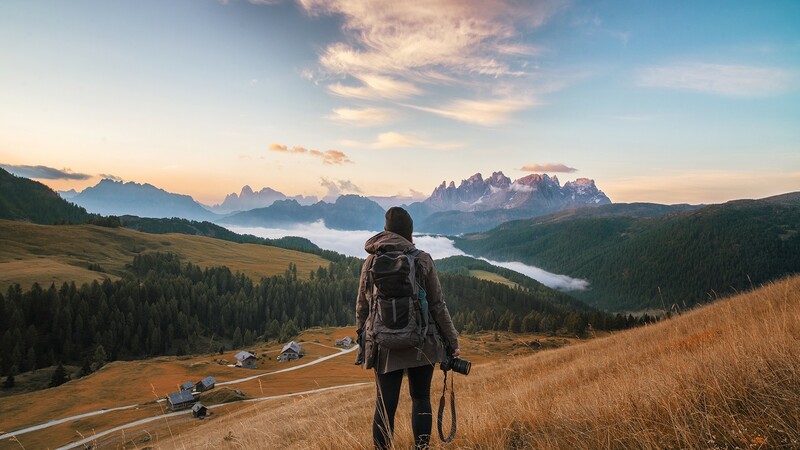 Whether it’s writing, graphic design, social media or being a virtual assistant, with enough time and persistence, you can make a decent living — that likely provides the most flexibility — working for yourself while traveling.